This pattern quarter dollar features George Morgan’s head of Liberty on the obverse, with a reverse similar to that found with Charles Barber’s Washlady design. 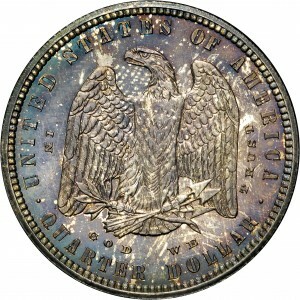 Harry Bass acquired this example from the June, 1970, auction sale held by New Netherlands Coin Company. Their consignor, Jesse M. Taylor of Buffalo, New York, acquired the coin from Numismatic Gallery in a private transaction on October 13, 1942. Such information is useful to the researcher tracking pedigrees. This exact coin has been held by two owners since 1942, thus could not be the same as any others that traded after that date. Numismatic Gallery, October 1942; New Netherlands 61st Sale, June 1970, Lot 71. 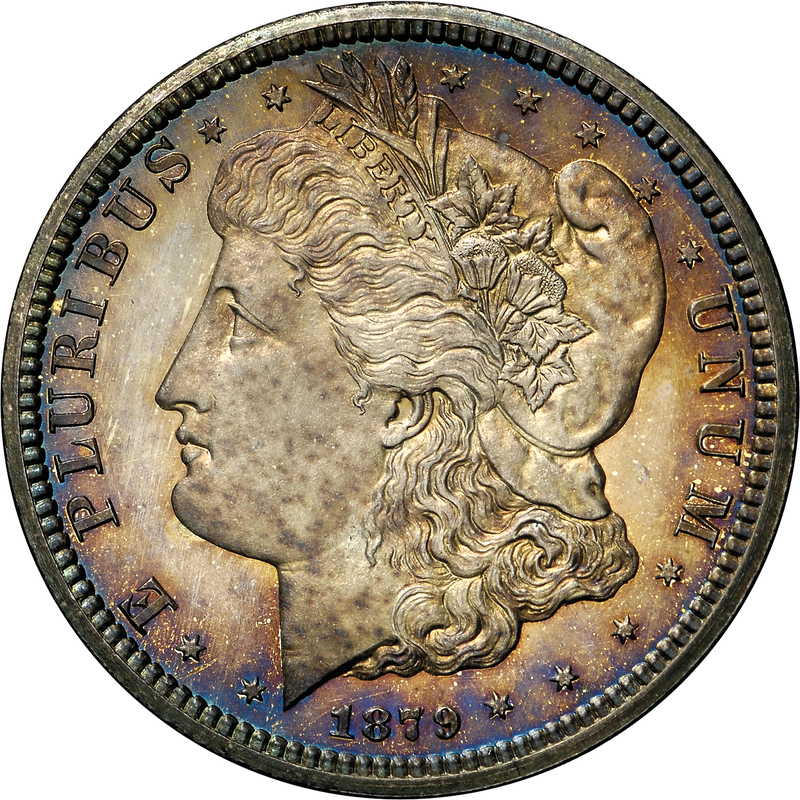 Head style of the regular-issue Morgan dollars of the date, four stars and E PLURIBUS before portrait, nine stars and UNUM behind portrait, small date below bust. Standing eagle at center, head to left, wings partially spread, olive branch and arrows in talons, peripheral legend UNITED STATES OF AMERICA QUARTER DOLLAR around, IN GOD WE TRUST in smaller letters within peripheral legend.